The microphones are high sensitivity, free-field 1⁄2-inch condenser microphones with a uniquely designed pressure equalisation system which ensures extremely well defined phase characteristics. The microphones and preamplifiers are mounted on a swivel head on the telescopic arm of the Remote control handle. 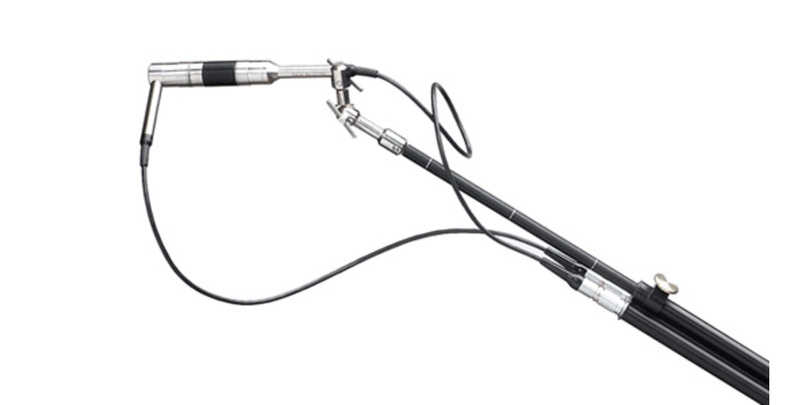 To cover the full frequency range from 50 Hz to 10 kHz, the 50AI probes are delivered with four solid spacers for spacing the microphones at 12 mm, 25 mm, 50 mm and 100 mm. These spacers can be easily interchanged without dismantling the probe. Different versions of the Type 50AI are available for connecting directly to a wide range of general purpose frequency analysers as well as specialised sound intensity analysers.